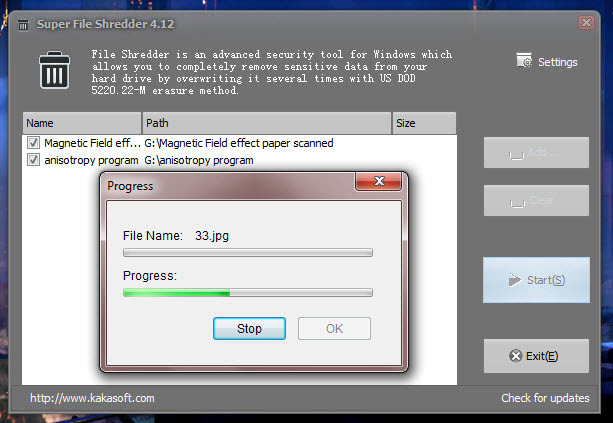 Kakasoft Super File Shredder is simple but powerful program that surpasses manu commercial file shredders out there. The Author believes that such a utility should be available to anyone for free and that permanent and safe removal of confidential documents is a matter of basic right to privacy. Its a 2.4 Mb download, digitally signed by Liao Guobo. The software installation requires administrative rights. installation went on fast and clean with the automatic creation of a desktop icon. It supports Windows 8, Windows 7, both 32-bit and 64-bit edition, Windows XP, Windows Vista and all earlier versions. The software is moderately light on resources. Following screenshots display its resource usage at idle time and during shredding. The software GUI is neatly designed. It has no minimize button and also the GUI can’t be resized. Launching the GUI requires administrative elevation. 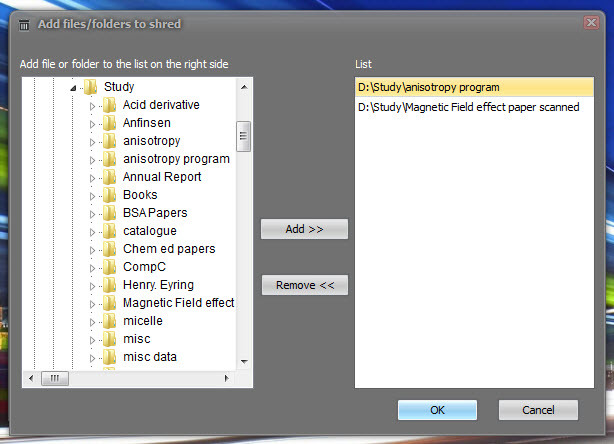 Files can be added to the Shredding GUI via drag & drop or by browsing for it. After adding files to the GUI, just click on the Start(S) button and the incineration will start in batch. 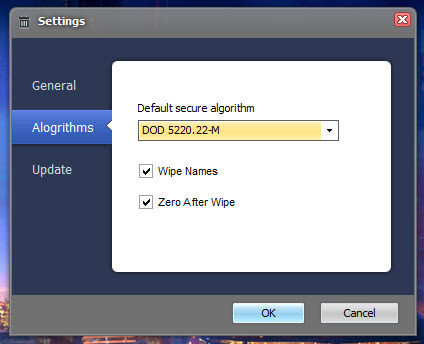 The software also integrates itself on the context menu of Files and Folders and from there shredding starts just after a confirmation, without opening the GUI. 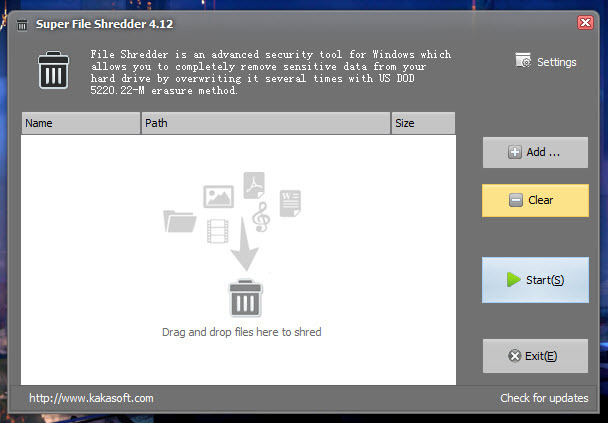 Kakasoft Super File Shredder uses several wiping algorithms. Currently it supports the single Pass, 7 Pass, 35 Pass (Gutmann) and also DoD 5220.22-M sanitization method. The last one being the default method. The software is set to automatically check for updates everyday. But you may also set it to check updates every week or month. There is no offline help documentation but online instructions are available to assist you with the software. Uninstallation of the software is also quite fast and complete. You need to restart the explorer for complete removal of the context menu. I find this application quite complete. So, it is recommended. There is no official portable version of the software but manually one can be easily made by copying the installation folder (viz: C:Program FilesSuper File Shredder) expect unins000.exe and unins000.dat and executing FileShredder.exe anytime to launch the application. This entry was posted in Free, OS Enhancement, Portable, Privacy Related, Security Related, Shred, Software, Windows.